DHS announces new enhanced security measures for commercial flights into U.S. The Department of Homeland Security (DHS) announced it is implementing new enhanced security measures for all commercial flights coming into the United States, according to a senior DHS official. DHS Secretary John Kelly made the formal announcement at an event Wednesday afternoon. "It is time we raise the global baseline of global aviation security. We must put in place new measures across the board to keep the traveling public safe," Kelly said. 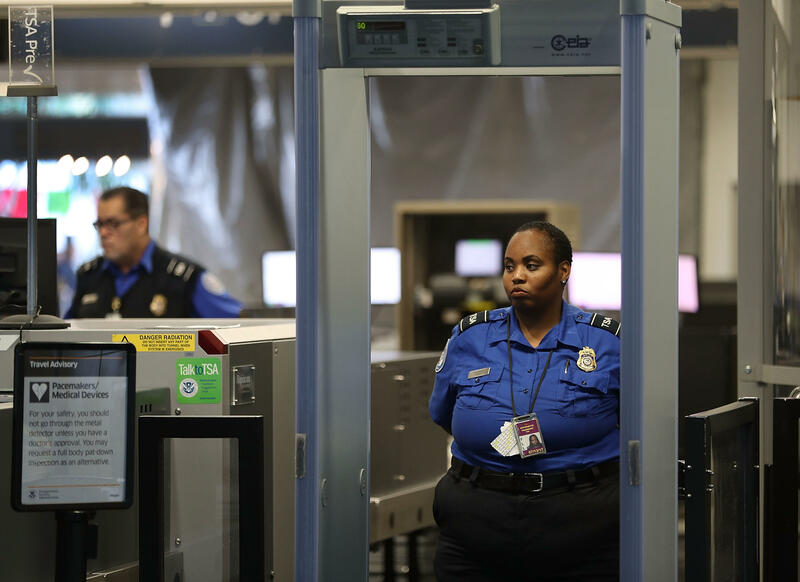 The measures, Kelly said, "will include enhanced screening of electronic devices, more thorough passenger vetting and new measures designed to mitigate potential insider attacks." By implementing the new procedures, he added, "We send a clear message inaction is not an option." Kelly said the measures, which will be phased in over time, will improve the security of U.S.-bound flights and is "hopeful other nations will follow suit." "Unless we raise our security standards, terrorists will find a way to attack the weakest link. Today is just a starting point to reduce insider threats and identify suspicious passengers," Kelly added. The new measures will apply to both domestic and foreign air carriers for more than 280 last point of departure airports in 105 countries. This will impact approximately 2,000 flights a day and 325,000 passengers. DHS did not give specifics on what the new measures would include but said that passengers could expect to experience enhanced screening and extra security measures such as additional K9 teams and new screening technology. One new technology that may now be used: 3-D scanners that can better identify explosives in carry-on bags. The machines are being tested at Phoenix International Airport. "TSA is always looking for the best capability," said Steve Karoly, an assistant administrator at the Transportation Security Administration. "The bad guy is very agile and always changing ... where we need to be that agile." The Department also failed to give an exact timeline on when the new measures would be put in place but said they are "giving the airlines sufficient time to implement these measures in an orderly fashion, with minimal impact for passengers" and that they "will take place in the near future." The more stringent measures stem from a growing concern about an explosive getting past airport scanners. DHS said that if airlines fail to comply with the new security directive, they could be subject to a number of penalties, including a complete ban of larger personal electronic devices on the entire aircraft (cabin or cargo), fines, pulling FAA certificates and restricting the airlines from U.S. airspace. The 10 carriers mentioned in the original electronics ban back in March could be removed from that ban if they comply with the new baseline security measures in this new directive. Until then, the electronics ban remains in place. CBS News' Katie Ross Dominick, Fernando Suarez and Jeff Pegues contributed to this report.